Within the H-1, non-immigrant U.S work visas, the most common one that people apply to get is the H1B visa. To get the H1B visa, you need to go through several procedures, so it is best that you are aware of all the details. Qualify to work in research and development projects of the U.S Department of Defense or other government positions. The H1B work visa is initiated by a U.S employer. The employer has an open job position and they cannot find an American employee who is qualified enough to complete the work. This can be any position that requires higher education degrees or that is specialized enough in skills that not many people can do it successfully. The employer receives applications from various candidates and if the requirements for the job are fulfilled by a foreign employee, then the US H1B visa process is initiated. An H1B visa can be given for three years, and then renewed for a maximum of six years. Renewals are done on a one year or three-year basis. But a person is not allowed to stay in the U.S on an H1B visa for more than six years. Exceptions are made only for employees of the U.S government who are allowed to work in the U.S for a maximum of 10 years with an H1B visa. What are the H1B Visa Requirements? There are several requirements that both employers and H1B visa employees should fulfill. If either the employer or the employee does not meet the requirements, the U.S might have cause to deny the H1B visa to those applying for it. A U.S employer is defined as a company or corporation which has an IRS (Internal Revenue Service) number. Since the H1B visa process starts with a U.S employer, they have to be able to meet some requirements specified by the country. The process is also otherwise known as H1B visa sponsorship. The LCA is filed with the U.S Department of Labor (DOL). The employer must have an approved LCA before taking any other steps in hiring the employee. The employee cannot start working before all certifications and documents are obtained. The next step is to file a petition (H1B Petition) with the United States Citizenship and Immigration Service (USCIS). This is done by filling in Form I-129. This form is filed to obtain permission from the U.S government to hire a foreign worker. Employers have to file separate I-129 forms for each employee. Pay the Public Law 114-113 Fee of $4,000 – this fee applies if the employer has more than 50 employees, and 50% of them are on H1B or L visas. The employer does not have to pay the fee is they are extending or amending the USCIS petition. USCIS will review the petition and determine whether the job is speculative or real, and then grant or deny it. Neither the employer or employee can take any actions before this petition or H1B sponsorship process is approved. If USCIS approves the petition for foreign workers, they will issue a Form I-797. This means that the employee can start application procedures. 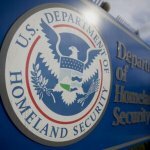 USCIS approves around 65,000 petitions per year starting on October 1st to September 30th. 6,800 petitions are reserved for H1B1 visas for Chile and Singapore nationals, while the rest for H1B visas. The DS-160 is the most important part of the application. You need to follow all instructions and provide accurate information. Try to schedule the interview as early as possible. 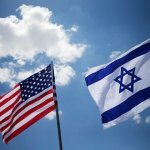 U.S Embassies take time to process each request, so the earlier you make the appointment, the better it will be for you. During the interview, you should have your documents and be prepared to answer extensive questions about your place of work and your specific job. 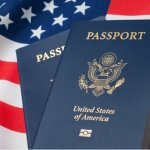 Interviewers will want to test whether you have all information and whether you are going to the U.S to actually become employed or to be involved in any other activity. If it is your first time applying, they will also take your fingerprints which will be saved in the U.S system. How Much Does it Cost to Apply for an H1B Visa? Are you opting for Premium Processing? - The Premium Processing fee can also be paid by the applicant. If your company has 50 or more employees and more than 50% of employees are on H1B or L1 Visa status, required for new H1B filing and change of employers. Is your company using an attorney? The H1B visa processing time depends from country to country. 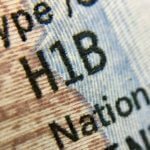 It generally takes three to six months for an H1B visa to be processed. It is advisable to apply as early as possible. U.S Embassies in different countries/cities have various processing times, so it is best to contact them for any details. The H1B extension processing time is around three months, so you should plan ahead. USCIS allows you and your employer to apply for extension six months before your H1B visa expires. If the H1B visa has expired, you are allowed to work for another 240 days or until your H1B extension is approved or declined. During the time you have an H1B visa or an extension, you can also apply for a U.S Green Card. This does not impact your current H1B visa or its extension. The amendment can be filed after the change has occurred. There is no universal guideline on the H1B amendment, so employers will have to contact USCIS to determine whether the change qualified and requires an amended petition. Many H1B visa holders want their spouse and children to accompany them. Spouses qualify to accompany H1B visa holders if they get the H-4 visa. Since 2015, H-4 visa holders could qualify to work under the H-4 EAD program in certain conditions. In addition, those with H-4 visas are also allowed to enroll in studies. Others who qualify to accompany an H1B visa holder are the children of under 21 years old, with an H-4 visa. What is H1B Visa Stamping? In case you are granted an H1B visa, you need to go on and apply for the H1B visa stamping. This a process on its own, and you should check out the H1B visa stamping article for more details. The USCIS opens applications every year in spring. The program has a visa cap of 65 thousand applications, meaning when this number is reached no more applications are received. The applications of the first 20 thousand applicants with a master degree are exempt from this visa cap. For more news and updates on the H1B Visa visit H1B Visa News.